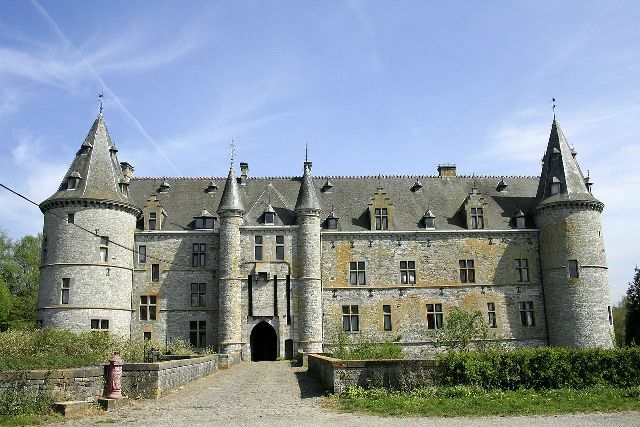 Notes: Château de Fallais (French: Château de Fallais) is a castle originating in the 13th century in Fallais in the municipality of Braives, province of Liège, Belgium. The castle was built in the 13th Century by the Beaufort family. Twice the lords were involved in armed conflicts with the Liege prince-bishopric. The first conflict was the so-called war of cows in the period of 1275-1278, fought between the County of Namur and the prince bishop of Liege. Duke Charles I the Bold of Burgundy owner of Fallais met here in 1465 with the Liège Prince-Bishop Louis de Bourbon before the battle of Montenaken that led to the suppression of the rebellion of the citizens of Liege and the loss of autonomy of the city until 1477.